Adam Klein was crowned the winner of Survivor: Millennials vs. Gen X during the live portion of Wednesday night's finale broadcast on CBS from CBS Studio Center in Los Angeles, CA. 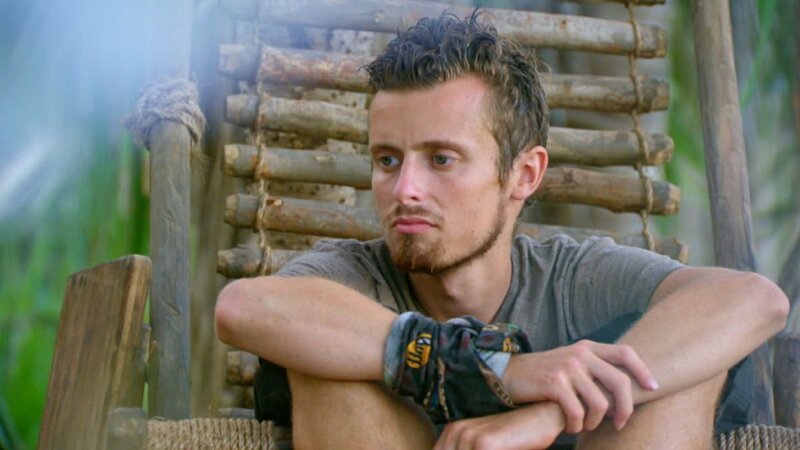 Adam, a 25-year-old homeless shelter manager from San Francisco, CA, won Season 33 of Survivor in a clean-sweep jury vote and therefore took home one million dollars. He played the game to bring joy to his family while his mother and best friend was home battling Stage 4 lung cancer after multiple failed treatments. During an exclusive interview with Reality TV World on Thursday, Adam talked about his Survivor victory. Below is the first half. Check back with us soon for more. Adam Klein: Thank you so much! Total dream come true. Reality TV World: Were you surprised it turned out to be a unanimous vote? That Ken or Hannah didn't at least get one vote? David Wright's vote surprised me a little since he was super close with Ken. Adam Klein: You know, I felt really good going into Final Tribal Council. I felt like I was going into it with people I had intended to go there with and that I had a strong case to make to the jury. And I left Final Tribal Council even more confident than I was going into it. It did go very well for me. And I did feel, probably, that I would get Dave's vote as well. Reality TV World: You revealed last night that you told your mother you had won the game once you returned home from filming, and you told Jeff Probst you said that because you had gotten the sense you won. So how did you arrive at that conclusion? Did anyone from the jury tell you that you won directly? Adam Klein: I definitely had a few conversations with jury members where I got the sense that they had voted for me and there seemed to be just this general consensus that I had likely won the game. And I had enough conversations with different people and just from my sense at Final Tribal Council that things had gone very well. Reality TV World: How big an impact do you think your disclosure of your mom's illness in your closing jury comments had on the jury vote for you to win? Do you think it impacted the vote at all? Adam Klein: Yeah, I almost didn't bring it up at all, largely because I knew that I would win the game without it, and I knew there would be mean people on the Internet saying, "No, he only won because of a sympathy vote." But juries don't vote based on that. I was going to get the votes with or without this story at the end. And really, I just wanted to bring my friends -- whom I had spent the last 39 days with -- in on the true story of my life, you know? People are like, "Why did you always talk about it when you were finding idols," or whatever? Because that's what I was thinking about! That is the most important thing in my life and it was my motivation for being out there, for playing hard and for trying to win the game. So, it was relevant to my story and I wanted to share that with the people that I played the game with in those final moments of the game. But I absolutely believe that I would have won the game in, you know, just as much of a margin as I would have if I didn't share that story. And I think the jury members would corroborate that. Reality TV World: Chris Hammons campaigned pretty hard for you to win. Do you think that played any role in your win, in that he may have swayed jury votes in your favor? Adam Klein: I think I went into Final Tribal Council with the people that I needed to be there and I think I had a very good argument and I was able to articulate -- not all of this made the broadcast -- why I made each and every decision that I made along the way in a way that resonated with the jury. So I was very, very grateful for Chris' support, but I don't think it changed anyone's vote. Reality TV World: Chris credited you for convincing Ken to turn on David Wright. Do you think you actually did that? Because Ken argued it was his own decision and the finale episode showed Hannah being the one to talk Ken into it. You weren't shown having a conversation with Ken about David. Adam Klein: Yeah, I was a little surprised that they didn't show the conversation that I had with Ken the night before where, after [Bret LaBelle] was voted out of the game, I actually told Ken about my mom, which I think is probably a surprising decision for most people going into Final Tribal Council. It seemed like the worst time to be telling someone something that could easily make them a bigger threat to win the game in people's eyes at least. But Ken is an incredibly genuine person who believes, strongly, that the biggest contributors to camp and the most kind-hearted and genuine people who were playing for something bigger than themselves should get to the end and win the game. And so, he was playing for his daughter and I wanted him to know that I was playing for my family as well and that the only thing standing in the way of us being able to win this game for our families was Dave's strengths as a contender at the Final Tribal Council. So I wanted him to feel okay with taking me to the end morally and emotionally. And I wanted to share that part of my life with someone who I had grown very close to since we swapped into the Takali tribe together. Ken had promised Dave Final 3 but he had also promised me Final 3, so he was going to have to break word to somebody. So I wanted that to be equal, and then for him to just be able to make the logical decision -- which was Dave is a far more likely threat to win the game. Reality TV World: So it sounds like Ken's decision to vote out David came as no surprise to you at all then? Adam Klein: Ken had told me before Tribal Council that he was going to vote out David, and it is true that we didn't have a conversation during that next day after the challenge, because he wanted to go out and spend that day -- he earned immunity and he wanted to go spend the day fishing and cooking for the tribe. He didn't want to have a whole lot of strategic conversations with me or Dave. He just wanted to go and enjoy the day and make the decision at Tribal Council, but I had made my pitch the night before to him. But ultimately it was his decision; I can never take full credit for convincing someone to do something. But I definitely made my pitch and I thought it was a very strong pitch. And it wasn't just the night before. At every Tribal Council for a number of Tribal Councils, I had been talking Dave up deliberately as a huge threat in this game so that when we got down to the Final 5 or Final 4, he would be an obvious threat that would have to go. Otherwise, he would win the game because we had been talking him up so much. Reality TV World: You told Bret it "didn't matter" if Hannah Shapiro was on your side or David and Ken's side heading into the Final 5 Tribal because, since you found the idol, he wouldn't be going home. But he did end up going home. So what happened there? Was some part of you envisioning playing the idol for Bret at that point? Adam Klein: Telling Hannah about the idol was absolutely a mistake in the game, and I would be the first to admit that I made mistakes. I think I was able to win the game because I was able to cover from those mistakes, but I definitely made mistakes along the way, and I should not have told Hannah about the idol. My thinking at the time was that I knew Hannah thought she could beat me at the end, and I thought I could beat her at the end. So, in terms of our positions in the game and where we thought we were, I thought we were thinking in the game at the exact same level. And for me, the absolute best move was to get rid of Dave, because if not, we had to rely on Ken voting out Dave at the Final 4, which I didn't think would necessarily get done. And so from Hannah's perspective, just thinking about the game from her logical perspective, I would think that she would reach the same conclusion. And in fact, she came to me that morning and said, "Dave has to go." It was just as much her idea as it was mine. So when she went against basically her own idea, I was flabbergasted, to be honest, and I love Hannah. She is like a sister to me and will always be a great friend, but I did not see that coming at all. Check back with Reality TV World soon for the concluding portion of our exclusive Survivor interview with Millennials vs. Gen X winner Adam Klein, and also for more interviews with the Final 6 castaways.